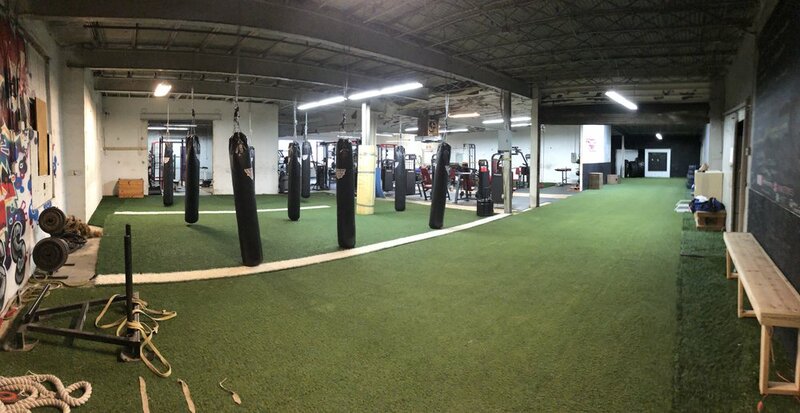 Vision Fitness and MMA is not your typical gym, located in the heart of Oakley housed in an old sheet metal manufacturing building you can feel a sense of belonging and family that is noticeable as soon as you walk into the facility. Unlike your global gyms we do not have “State of the Art” equipment, mirrors lining the walls, or that feeling that everyone is watching your every move. Instead we have exactly what you need to get the job done. Whether you are in the mood to blow off some steam hitting the bags or maybe want to flip a tire endlessly until your body gives out. If you are looking to roll around the mats with fellow mates to improve your skills or just want to shred some free weights around, Vision has you covered. With finger print access to the building during open hours you can come here to escape life’s problems and walk out of the gym feeling a sense of pride and a clear head.